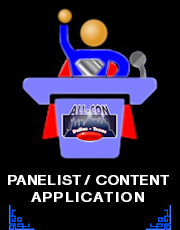 ALL-CON is at the Crowne Plaza in Addison, Texas (near the Dallas Galleria). 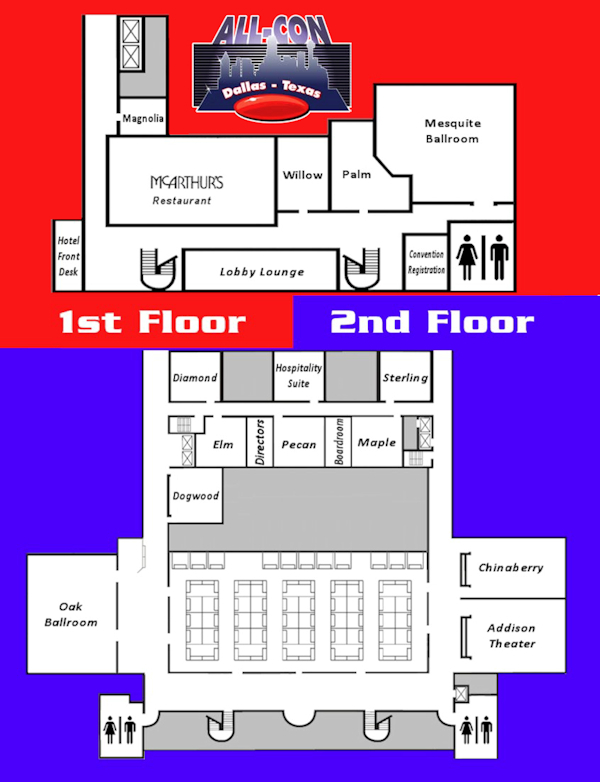 ALL-CON has booked panel rooms on both floors this year! What does that mean to you? More freedom to move around and more fun. Think about it, an entire hotel full of convention activities and room parties. 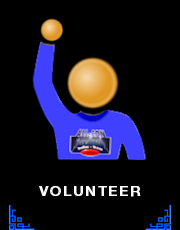 For the complete convention experience many people stay at the hotel which allows them to attend the late night and early morning events. 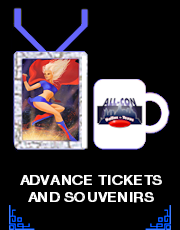 ALL-CON has negotiated special discounted rates for attendees staying at the convention hotel. 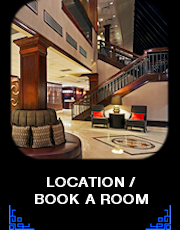 If you're booking via phone, use Group Booking Code: "*PENDING*"
*discount rates for booking not guaranteed after February 1, 2020. The Atrium Bar with its hardwood floors, luxurious sofas, granite tabletops, fireplaces and multiple plasma TVs is great way to unwind. For your dining needs, try McArthur's Restaurant on-site with cuisine prepared by Chef Soto. 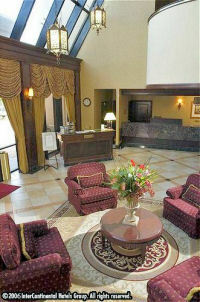 This Hotel strongly discourages the use of Visa/Mastercard Check card or Debit cards. Please be advised that if you choose to use a check card or debit card, the total estimated charges of your entire stay, including a $25 per day incidental deposit upon check-in is removed immediately from your checking/savings available account balance. This amount remains unavailable until your financial institution posts the actual charges incurred at our hotel. Release of funds from your financial institution can vary from 3 to 14 business days and cannot be expedited by the hotel. 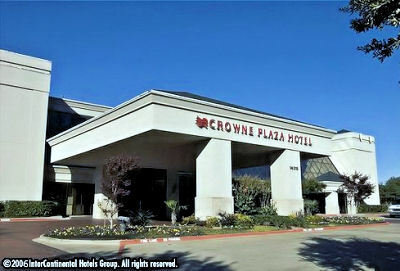 This hotel cannot be held responsible for any fees or fines due to insufficient funds or other related charges from the use of a check/debit card. This is a universal hotel / check and debit card policy. Please be aware. The Crowne Plaza reminds you in advance as a courtesy.